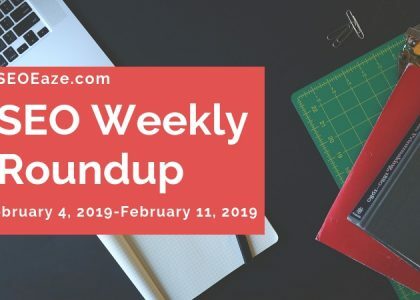 Another week has passed and we are here with this week’s SEO roundup. This week had a bit of chatter regarding a new algorithm, for a new search result the Google broke and a few more happenings. Let’s talk about the Google breaking for a search query on September 14. It is not often that you get to see Google bug out or not return results. 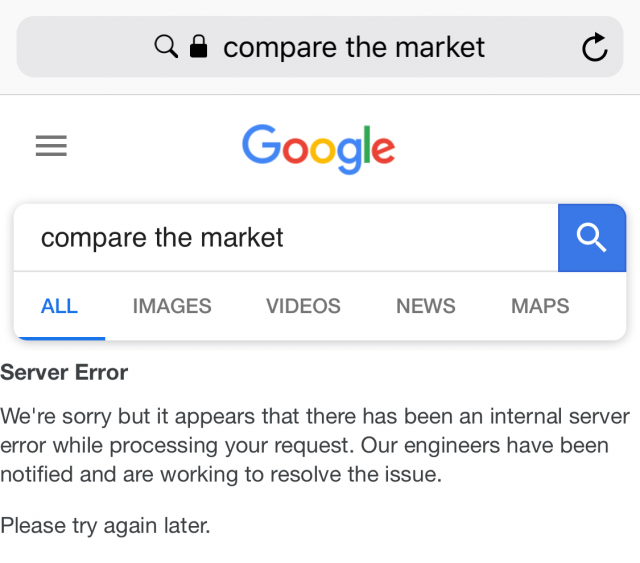 But on September 14, the search giant gave no results for the query compare the market. What’s most interesting is the fact that the problem remained for almost 12 hours before it was fixed. Well, I think even Google is allowed to mess up once in a while. Moving on, there’s another Google Algorithm Update On September 11th. 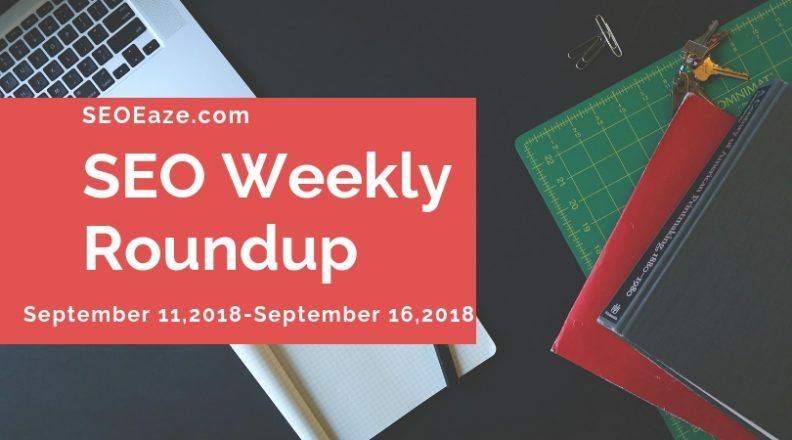 Since August 1 update every now and them news of some other updates causes a stir in the SEO community. But we make sure to include on the news in our roundups that has evidence as a proof. Around September 11, most of the automated tools were picking up fluctuations in Google rankings. While the update is not as big as the Medic update, still it is a 100% confirmation that the update took place. Medic update caused a major shift in results and it was widely covered in our roundups. Since then there have been a few updates confirmed and unconfirmed that were mostly seen as rectification of Medic update. We still have no clue as to what this update is about. But as per discussions on several webmaster forums, some people are seeing a recovery from Medic update hit as a result on this new update. 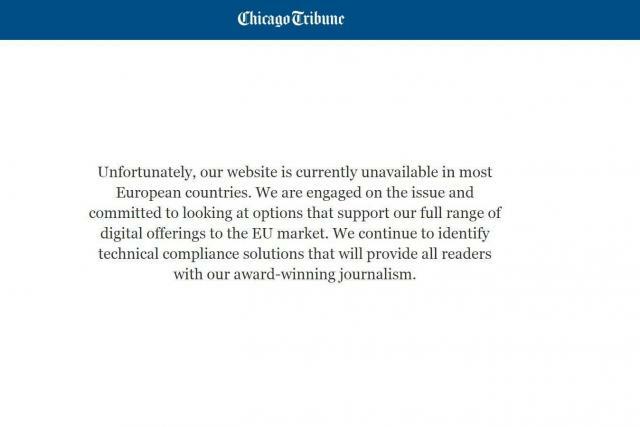 After GDPR restriction as per the European Law, it has come to notice that some websites are blocking users from viewing content because of the GDPR. Google has hinted of removing such websites from the search results because of poor user experience. Such websites are included in the search index because Google crawls websites from the United States, and Googlebots in the US sees these results. If Googlebot crawled such from Europe then it will not see such results. Either way, inability to access websites that are included in the search results is a bad user experience. It may be viable for US-based sites to not invest in making their website to comply with GDPR, but it is still unclear how Google will deal with such sites.